The boutique hotel Villa Vicha near Nîmes highlights a unique style and personality based on a unique concept. In a green setting, you will enjoy unusual accommodations in the heart of nature. Danish chalets will welcome you in the middle of a 5 hectare park, in a silent and quiet atmosphere, dedicated to relaxation. The team of the boutique hotel take care of everything from booking your table at the restaurant to your equestrian hike. 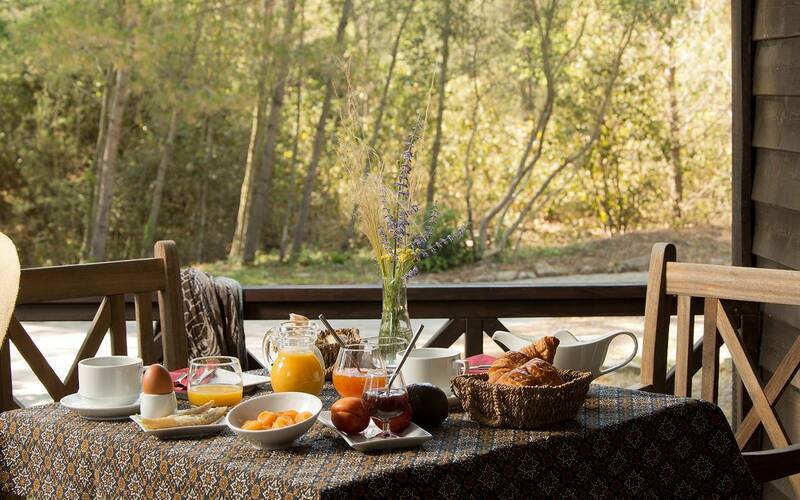 At Villa Vicha near Nîmes, you will have the chance to live an authentic stay full of warmth. Nîmes, very often nicknamed the French Rome, is a historical city in south of France. The city was very important in the Roman era and youa can still visit lots of places and buildings built at this time. During your stay at the Villa Vicha boutique hotel , don' forget to visit the must-sees of Nîmes: the Nîmes arena, a two-storey amphitheater, the Maison Carrée, a Roman temple, and the Pont du Gard, a three-level aqueduct. Come discover all the wonders of Nîmes, the team of Villa Vicha will be pleased to guide you throughout your stay.